Packrafting and Land/River Navigation - S.E.I. Ascend through the mountains and descend on the rivers. Packrafting is another means of Alternate Insertion Extraction through varied riverine terrain. A packraft is an inflatable one-man raft that packs up into a small, five pound package that can be strapped to a rucksack. The S.E.I. 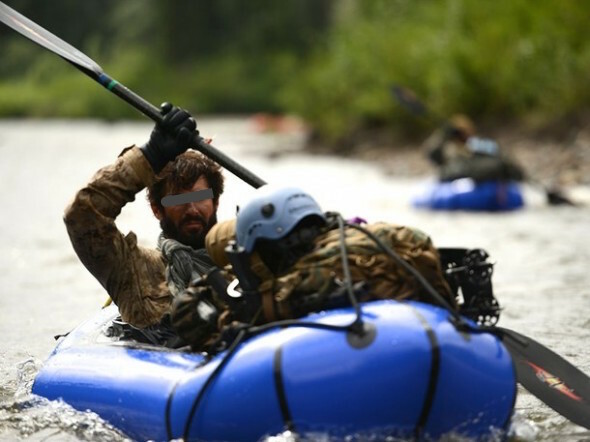 packrafting Course Of Instruction will spend time moving through mountainous terrain, land/ATAK navigation, field crafts, and other SOF survival skills. After a team movement of 1-3 days, we will inflate packrafts and river navigate both flat and white water, completing a round-trip RTB. While navigating the river, team will practice swift water skills, water hydrology, and how to properly manipulate raft and paddle efficiently.